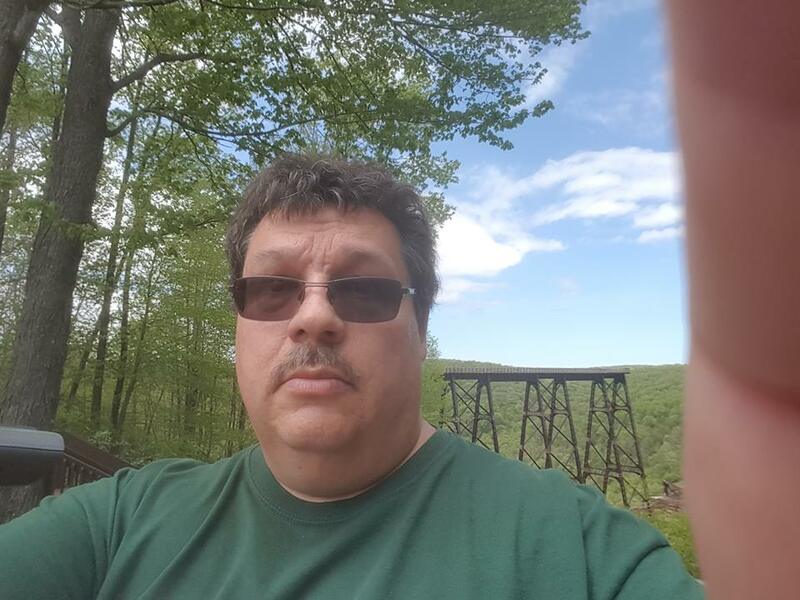 This OpenCaching North America Virtual Cache will bring you 225 feet above the Kinzua valley on what's left of a 115-year-old bridge following a dance with a tornado. Of course, the bridge (or what's left of it) is completely safe. 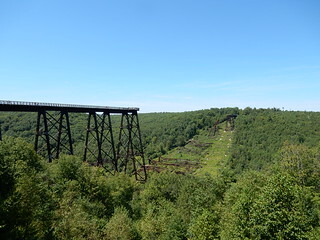 On July 21, 2003, a tornado struck the Kinzua Bridge, snapping and uprooting nearby trees, as well as causing 11 of the 20 bridge towers to collapse. There were no human deaths or injuries. 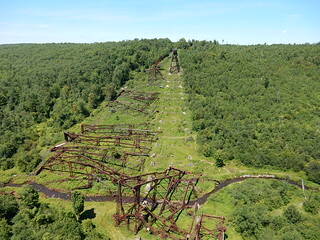 The state decided not to rebuild the Kinzua Bridge, which would have cost an estimated $45 million. Instead, it was proposed that the ruins be used as a visitor attraction to show the forces of nature at work. 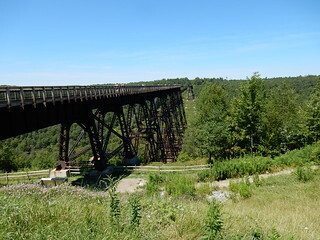 The Kinzua Sky Walk was opened on September 15, 2011. 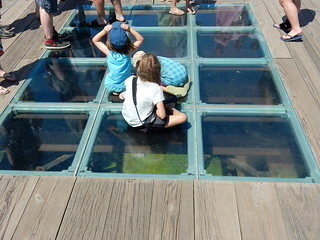 The Sky Walk consists of a pedestrian walkway to an observation deck with a glass floor at the end of the bridge that allows views of the bridge and the valley directly below. The walkway cost $4.3 million to construct, but is estimated to bring in $11.5 million in tourism revenue for the region. 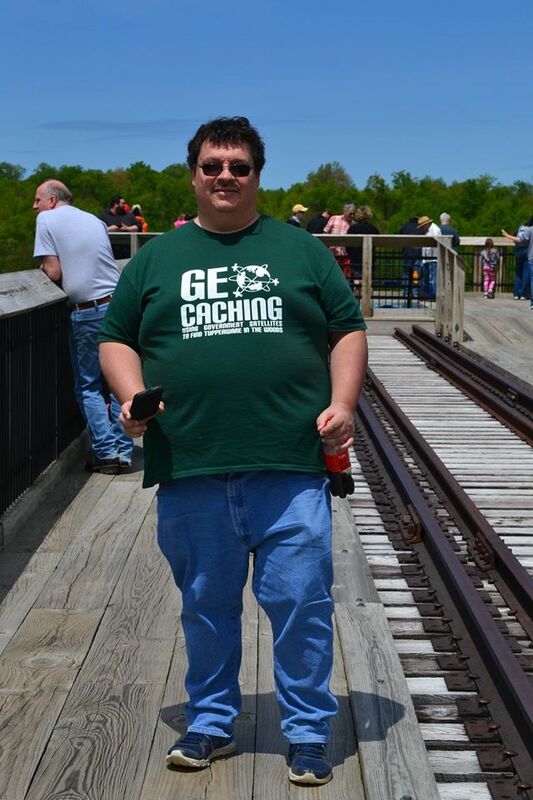 To log this cache, you must post a photo of you with your GPS-enabled device with the Kinzua Bridge visible in the photo. Any Found It logs without the required photo will be deleted.